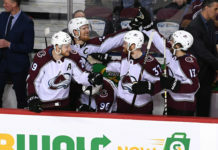 In the opening victory over the pacific team, Landeskog notched a hat trick with three goals and one assist. 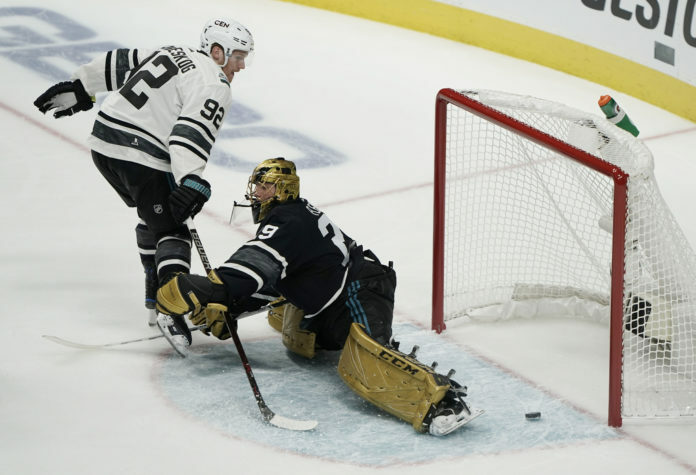 After being selected as the NHL’s ‘last man in’, Landeskog was in contention for the 2019 NHL All-Star Game MVP. Not to be outdone by his linemate, Rantanen finished the first exhibition with a pair of goals and one assist as well. 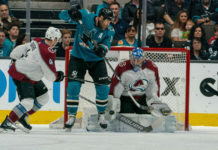 In the final, Landeskog added one more goal, while Rantanen found the back of the net twice. 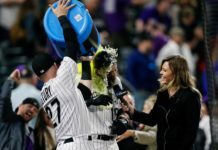 Cheering on the duo from the sidelines was Nathan MacKinnon, who served as a coach for the central team, after having to miss the event with an injury.